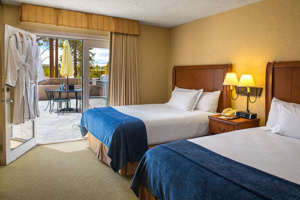 Lake Tahoe Resort Hotel offers first-rate lodging accommodations in the heart of South Lake Tahoe. 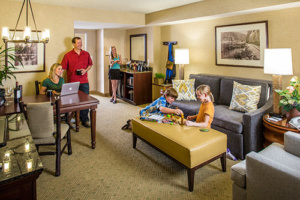 Seasonal Lake Tahoe lodging and vacation packages available throughout the year. 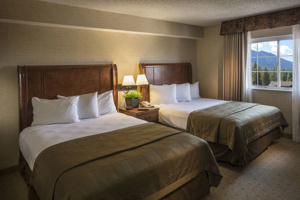 See why you can’t beat our Lake Tahoe lodging options, including the King Bed or Two Queen Bed Suite configurations for comfort and enjoyment. Hotel amenities include complimentary and paid services. Our first-rate lodging accommodations can’t be beaten! Please note: As much as we love our pets, Lake Tahoe Resort Hotel does not allow animals (except service animals) at the hotel for the safety of our guests and staff. Please visit our Pet Policy page for more information.